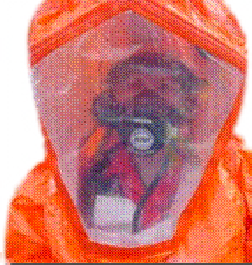 Hazardous Materials & CBRNE Conference in Ohio! This conference started in 1999 to bring high quality hazmat training to the responders in Northeast Ohio. It grew to include responders from across the state. Each year over 300 Hazmat Technicians and Specialist attend this conference to update and improve their technical knowledge of hazmat emergency response. 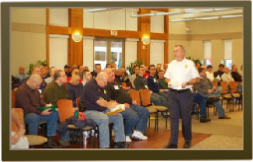 The conference is generously supported by the PUCO, the Cuyahoga County LEPC, the Chagrin/Southeast Hazmat Team, Cleveland State University, the City of Solon, the hazmat teams of Northeast Ohio and the vendors. Thanks to this sponsorship attendees are able to attend at little or no cost. Conference attendees include Hazmat Technicians, Hazmat Specialists, Bomb Technicians, EMS Personnel, Firefighters, Law Enforcement Officers, EPA Personnel, Industrial Hazmat Responders and many more. The 2018 conference was Nov 2-3, 2018. Watch this page for info on the 2019 Conference. It will be held the first weekend in November 2019.